The McMahon Family has invited Becky Lynch back to Raw this week, despite suspending her last week. Perhaps it’s because she showed-up at SmackDown Live regardless and attacked Triple H. Regardless, Lynch is on tonight’s show and likely to continue plying her best Stone Cold impression. It’s seemingly just me, but I’ve been thoroughly unimpressed by Lynch’s persona; her mic work is sub-par at best, and her rivals tend to come off looking much better as she just stands and smirks at them with no retort. Hopefully this can start to change. Becky’s opponent Ronda Rousey however, will be facing Ruby Riott as a hurdle on her way to WrestleMania, so we can expect the Riott Squad to start attacking her tonight. Also on tonight’s show, Seth Rollins returns to address his heinous beatdown at the hands of Brock Lesnar. The two won’t come to blows until April 7th, so it’s unclear if WWE intends to slowly build the feud, or throw Rollins into something small in the meantime. I reckon we will find out tonight. Elsewhere tonight, WWE is teasing another retirement speech from Kurt Angle, more from Finn Balor and Bobby Lashley, Dana Brooke Vs. Natalya, and potentially more from Elias, Road Dogg, and Jeff Jarrett. That’s the preview for the show. 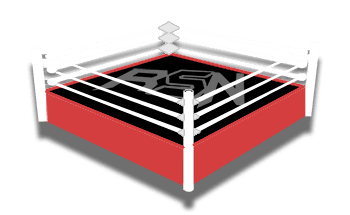 Remember to follow us on Instagram and download the Ringside News app to join in the conversation. Enjoy the show! Raw opens with Triple H and Stephanie already in the ring. Stephanie welcomes us to the show, and she reminds us we’re on the Road to WrestleMania. This Sunday will be the Elimination Chamber PPV, where they will crown the first-ever Women’s Tag Team Champions. The move on to talking about Becky Lynch Vs. Ronda Rousey, then show the start of last week’s Raw, when Lynch attacked Stephanie, as well as he turning up on SmackDown Live and attacking Triple H. Stephanie says, despite what happened, they are still going to give the fans what they want. She then says Becky did in fact see the doctor this past week and let’s hear what they had to say. Becky Lynch doesn’t give them a chance to reveal the results, as she comes out and makes her way to the ring. Triple H says the doctor confirmed that the doctor cleared her and says there is nothing wrong with her knee whatsoever. Therefore, her suspension is lifted and she will indeed face Ronda Rousey at WrestleMania…if. If Becky can do one little thing: apologise to the both of them. They say she is a role model to fans and little girls all around the world, and she needs to uphold that. Becky doesn’t want to do it and tells Stephanie to “shut your face”. She says she doesn’t trust her, Triple H, or Stephanie’s “old man”. She says she will fight them all. She tells them to shove their apology up their “arse” and turns to leave but Steph prevents her and they start yelling. Triple H tells her to stop being stupid and stubborn, and she should want to fight at WrestleMania, rather than tonight. He says he wants her to come out later tonight and show that she is The Man, by apologising. Bayley and Sasha Banks make their way to the ring and interrupt those within. They have a triple threat match ahead of the tag team elimination chamber match. We return to see Nia Jax and Tamina’s entrance, in which they cut a generic split-screen promo. The losing team in this match first in the Elimination Chamber. Sasha Banks starts against Nia Jax. Banks slaps Jax in the face and forcibly tags in Liv Morgan. Morgan looks stunned. Jax avalanches her. Morgan goes for a tag to Banks and Bayley, but they both jump off the apron to leave her stranded. Sarah Logan tags in, but Jax soon picks her up. Logan slides off, but Jax head-butts her. Tamina tags in, and she stomps Logan. Tamina clubs her on the back, and they whiff on something. Morgan tags in and covers Tamina for a two count. Tamina quickly takes Morgan down before giving her a scoop slam for a two count. Tamina applies a chin lock to Morgan, but she lets go and tags Jax. Jax womanhandles Morgan before staring at Logan. Morgan punches away at Jax and dropkicks her twice. Jax is down on her knees. Bayley blind tags in and goes to attack Morgan, but she shoves her into a Jax avalanche. Morgan knocks Banks into the barricade and Logan follows up with a knee to the face as we head to the break. We’re back and Sasha is down and out, holding her shoulder, as trainers are checking on her. She looks like she may cry. Morgan tags Tamina in, and Tamina head-butts Bayley down. Officials are helping Banks to the back. Tamina head-butts Bayley down again. Bayley sidesteps a superkick and rolls her up for a two count. Bayley catches her with a jackknife cover for another two count. Bayley drops Tamina on the ropes and tags in Morgan. Morgan tags in Sarah logan, and they hit Tamina with a double dropkick. Logan hits a running knee on Snuka before tagging Liv back in. They hit a wheelbarrow splash on Tamina for a two count. Logan tags in, and she steps on Tamina’s ankle. Tamina connects with an elbow on Logan and clubs away at her. Jax tags in and throws Logan before avalanching her in the corner. Jax drops an elbow on Logan before applying a cobra clutch. Logan fights to her feet and dodges Jax, who runs shoulder-first into the ring post. Tamina blind tags in and knocks Morgan off of the apron. She hits a Samoan Drop and goes for a Superfly Splash on Sarah, but Logan gets her knees up. Morgan and Bayley tag in. Bayley shoulders away at Morgan before kneeing her. Bayley snaps Morgan and Tamina off the middle ropes. Bayley slides through the corner turnbuckle to dropkick Morgan and then Jax. Bayley clotheslines Riott down at ringside. In the ring, Bayley knees Morgan in the face before going to the top rope. Bayley hits a diving elbow drop, but Logan breaks up the pin. Bayley hits a snap back suplex on Logan. Morgan then catches Bayley with an inside cradle for a near fall. Bayley hits the Bayley-To-Belly on Morgan but Tamina then comes out of nowhere and superkicks Bayley out of her pin. Tamina drags Morgan over to the corner and has her tag in Jax. Nia comes in and hits Bayley with a Samoan Drop for the pin and the win. After the match Bayley looks longingly at the WWE Women’s Tag Team Championships. Seemingly frustrated with Banks, teasing a potential heel turn for Bayley? Her and Banks will be first into the Chamber. We see Becky Lynch walking backstage and she walks past Elias, who will be out next for a walk. Elias strums a chord and greets the crowd. We immediately go backstage to see Finn Balor tell Becky Lynch to wait and bide her time. That’s what he’s doing. Soon, he’ll take Bobby Lashley’s Intercontinental Championship. Balor suggests she not let pride get the better of her and apologize. Elias strums a chord… but we immediately go to a video package of Seth Rollins’ journey to WrestleMania. We’re back live in the arena with Elias, who strums a chord, but he’s immediately interrupted by the Lucha House Party. Elias groans in fury. They dance around Elias in the ring. As soon as we come back from the break Elias goes off on the Lucha House Party, seemingly pissed-off at listening to their music during the break. Elias is furious that his album wasn’t nominated at the Grammy’s. He says he was the greatest artist on the planet. Kalisto says they love entertaining the WWE Universe, but tonight they want to Walk With Elias. Elias sits down and tells everyone to shut their mouths. Elias sings about how he used to sing songs for them, but now he has nothing left to give. When he comes to Grand Rapids, he loses his will to live. The city is filled with losers and the people are all the same. Kids, it’s not your fault; it’s your stupid parents to blame for living in Grand Rapids. The crowd boos him. Elias asks the Lucha House Party what they think. They confer and put their thumbs down. Elias says there is no one like them. Elias asks if they think they can do better than him. Kalisto thinks he can. Elias has him sit on his stool and gives him his guitar. Kalisto plays a chord and Lucha House Party celebrating but the crowd are not into it. Elias says he’ll do a duet with Kalisto. He just has to get his other guitar. Elias then smashes the guitar off his back and runs away while the Lucha’s are left angry. WWE Intercontinental Champion Bobby Lashley makes his way to the ring alongside Lio Rush.